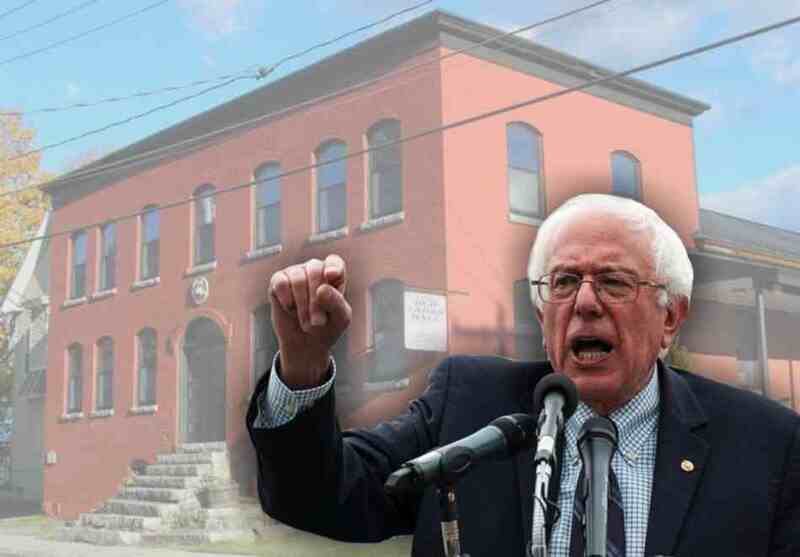 Senator Bernie Sanders has generously used his worldwide popularity to highlight the international importance of the Socialist Labor Party Hall National Historic Landmark and endorse its nomination as an United Nations Educational, Scientific, and Cultural Organization (UNESCO) World Heritage Site. Some years ago, a group from Denmark proposed that the Old Labor Hall be added to a list of “People’s Houses” to be nominated as World Heritage Sites. 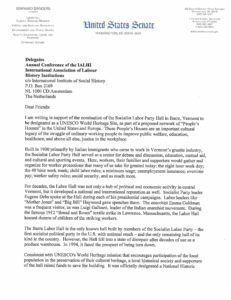 The process is very complex, but a US delegate to the joint conference of the International Association of Labour History Institutions (IALHI) and WORKLAB-International Association of Labour Museums to be held in Ghent, Belgium, September 6-9, 2017 has offered to propose that those two organizations support this effort for the Old Labor Hall (and for similar sites in their own countries). Members of these organizations are influential in the World Heritage Sites nomination review processes. 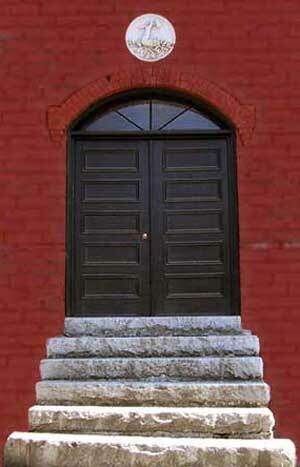 The all-volunteer Barre Historical Society is very proud that the fruits of its efforts to save this the Socialist Labor Party Hall National Historic Landmark are recognized not only locally, but also nationally, and internationally. It makes all the work worthwhile. A big thank you, to Bernie and the many others who have fought to save this unique site.